Olympique de Marseille are having a difficult season. After reaching Europa League final and splashing a lot of money in the transfer market, things are not rosy for them this year. However, Marseille could still get into the fourth place which would get them into Champions League play-off this coming summer. If that happens, then Florian Thauvin could actually be on the go. The 26-year-old Frenchman looks set to leave Marseille at the end of the season, as there is growing interest from AC Milan and Inter Milan. 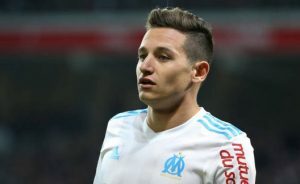 According to France Football, Thauvin is in talks with his current club over a summer departure and in that case Italy looks like a realistic destination. The Milan clubs might not be the only ones trying to lure him away, as Napoli could be also in the picture, although they are prioritizing other targets first. Thauvin has 13 goals and six assists in Ligue 1 this season.